The following publications have been produced and published by the Leicestershire Multicultural Archive. The project's purpose is to enable the county's many and various ethnic communities to record and preserve their memories, life experiences and traditions, and to ensure access to this rich inheritance for present and future generations. The project is a collaborative venture between Leicestershire County Council and De Montfort University, established with the help of special grant aid from the Department of National Heritage through the Public Library Development Incentive Scheme. This book contains memories of how a community developed from the First World War to present day. 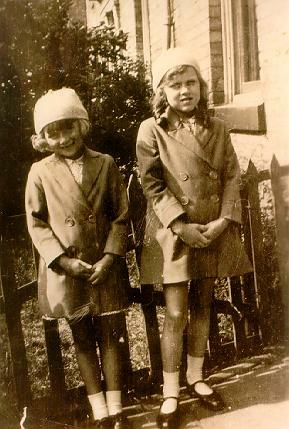 The aim of this project was to record reminiscences from people who had lived in Highfields . an area of Leicester which has been home to possibly a wider range of cultures than any other area in Leicester over the last 80 years. More than 50 people were interviewed during the summer of 1994, presenting a mix of these different cultures . English, Irish, Polish, Hindu, Sikh, Muslim and African Caribbean. In addition, nearly a dozen letters were received following an appeal in the local press. The memories of these people span the years from the First World War to the early 1980s. Some people were interviewed in their mother tongue, and, where possible, their memories are presented in their own language, with an English translation. In some cases, people asked to record their reminiscences anonymously. 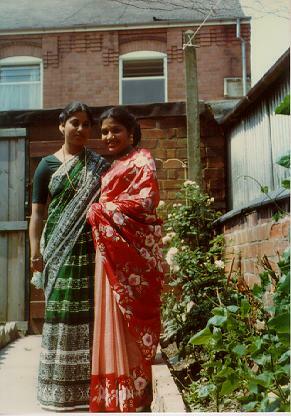 'Highfields Remembered' was published in 1996 by Leicestershire Multicultural Archive Project, ISBN 085 022 4055. Copies are available from Leicester City Libraries, Central Lending Library, Belvoir Street, Leicester LE1 6QL. Tel; 0116 255 6699. This unique pack includes an audio tape featuring ten songs performed in Gujarati, and an illustrated booklet, with transcripts of the songs in Gujarati and English. It is intended for use as both a reminiscence and educational resource, and to help record and keep alive an important ancient tradition. Saris have been woven and worn in India for over two thousand years. There are many songs which describe their type, patterns and the special occasions when they are worn. They are usually sung by women, and passed down orally from one generation to the next. The previously unrecorded versions in this selection have been remembered and performed by a number of Gujarati women now living in Leicestershire, who were participants in a series of reminiscence workshops run by the Leicestershire Museums, Arts and Record Service. Copies are available at from Imaging Communication Design, De Montfort University, The Gateway, Leicester LE1 9BH, UK. This unique audio pack features eight stories (four folk tales and four tales from the Hindu scriptures), performed in a mix of Gujarati and English. It is designed to help bilingual children to develop skills and confidence in both languages and to enjoy some of the traditional stories so central to their cultural inheritance. It is intended for family listening, and use in schools, public libraries, play groups and other children's projects. The tales are told by Hema R. Acharya, with the help of children from Abbey Primary School, Leicester. One of a team of story tellers employed by the County Council's Libraries and Information Service, Hema is well known in Leicestershire for her innovatory work with bilingual children . using a mix of languages to stimulate her audience's sense of excitement and involvement. The contents include an audio tape (total running time 1 hour 32 minutes) and an illustrated booklet, with summaries of the stories in both languages. Copies are available from Imaging Communication Design, De Montfort University, The Gateway, Leicester LE1 9BH, UK.